When I first moved to New York City in 2000, one of my first "adventures" was out to Windsor Terrace in search of the storefront used in the film "Smoke" which was quintessentially Brooklyn to me before I knew anything about Brooklyn. Even back then, five years after the film was released, the location was almost unidentifiable as the set of the cigar shop. Twenty years later, it has even further disappeared behind years of new tenants and renovations. Today it is occupied by the small Aussie/Kiwi meat pie shop and serves the stroller set. Quintessential Brooklyn! The good news is that it is what is on the inside that counts, whether we speak of storefronts or meat pies. 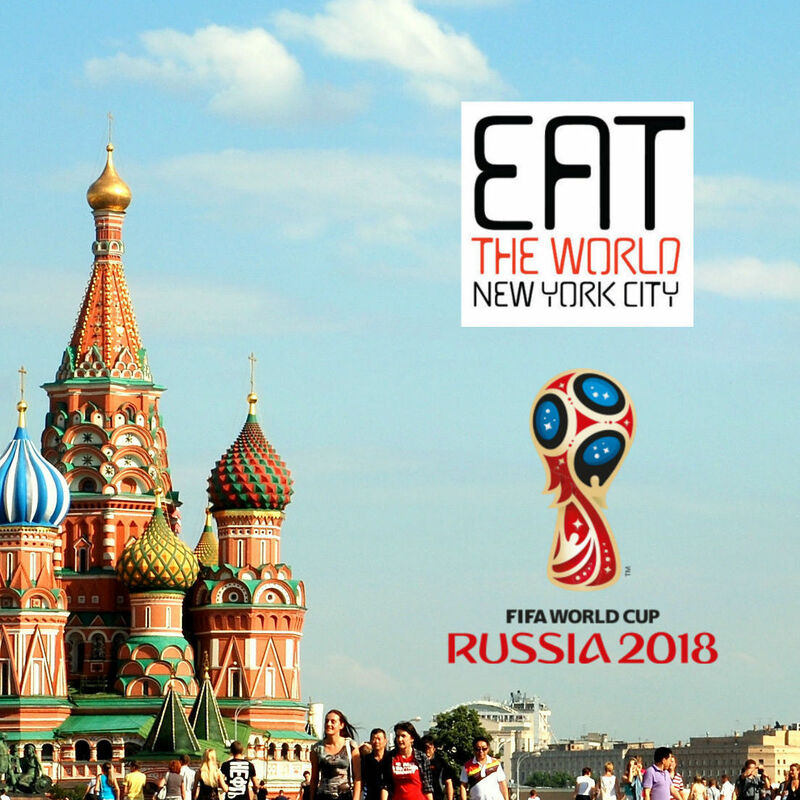 According to the owner, meat pie shops are so dear to the people of New Zealand, that their creations are competition and as such they keep improving. Try one for yourself before rolling your eyes, the pies are damn good. 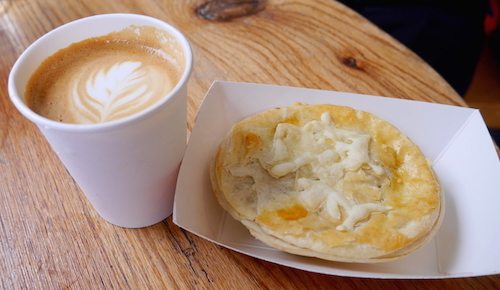 For lunch, a favorite pairing of my mine is the excellently made flat white ($3.75, above left) and a steak mince and cheese pie ($7, above and below). 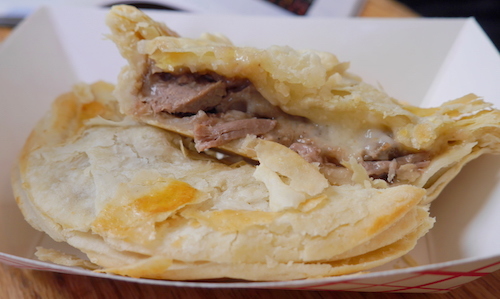 The flaky pastry is filled with creamy fatty goodness and very tasty meat and Vermont cheddar mix. The onion gravy is what makes the pie. I was in the the shop the day after Anzac Day (Australian and New Zealand Army Corps Day), a national holiday in both countries that also has it's own cookie, referred to as a biscuit of course down under. 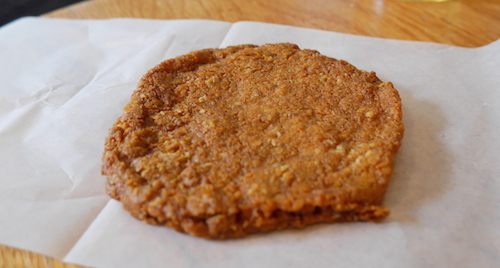 The oats, sugar, and coconut make up the bulk of the crispy yet moist Anzac cookie ($1, below). The shortened version of the story is something along the lines of these cookies not going bad and being sent far overseas by the wives to their fighting husbands in World War I. The real reason to get a dessert in a place like this though is for a slice of Lamington ($4, below). 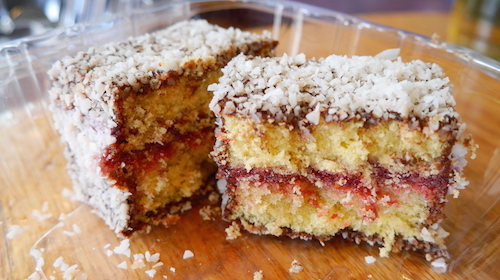 From outer layer to inner, you see coconut again, chocolate sauce, sponge cake, and strawberry jam. For those not interested in film history, or sitting on an F train for long periods of time, there is also a truck that the shop operates. 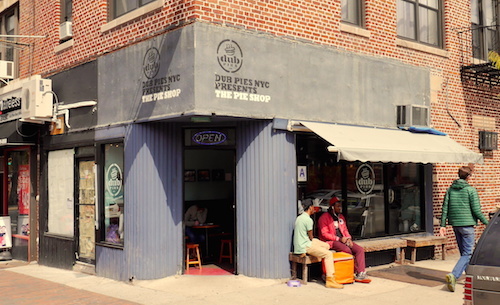 Find it roaming the streets serving pies and coffee at various locations throughout the week.